For the Most Advanced Timing Needs! 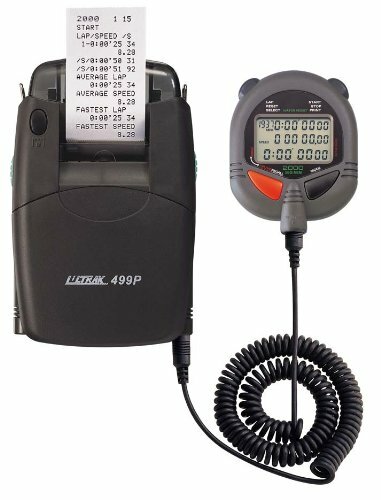 Stores and recalls 2000 lap/split times with the capability of keeping multiple events in memory, 10-hour range, 1/100 second resolution in a three-row display. Features universal speed/frequency mode, automatic split release and dual countdown timers, water resistant, five-year lithium battery and five-year warranty. Data can be printed during or after event. With optional Windows computer interface, events downloadable to PC. Printer paper sold separately. If you have any questions about this product by Ultrak, contact us by completing and submitting the form below. If you are looking for a specif part number, please include it with your message.